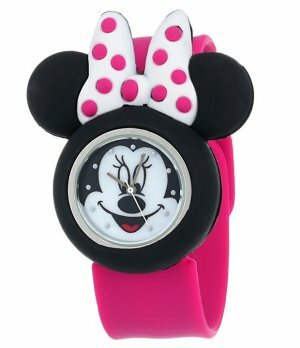 OFFICIAL MINNIE MOUSE WATCH: Children's watch is shaped like Minni Mouse and has her face on the dial! BOX PERFECT FOR GIFTING: Easy to open box is perfect to gift wrap and has the official Minnie Mouse logo on the top. NON-TOXIC & SAFE: Every Disney watch is lab tested and are non-toxic, non-hazardous, and safe for children.